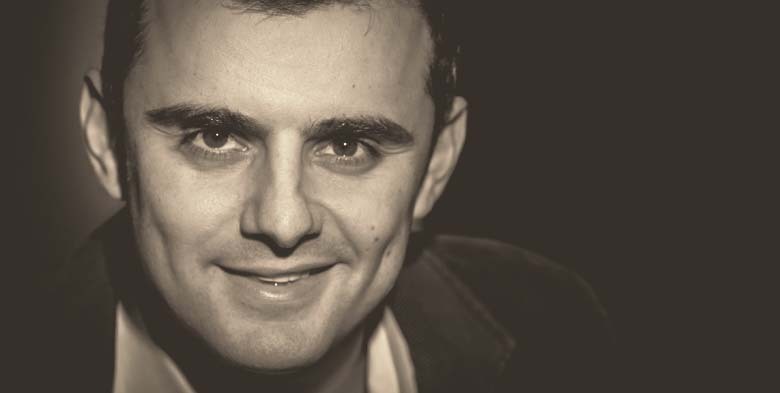 The team at Successful Startup 101 is proud to have the opportunity to partner with renowned entrepreneur Gary Vaynerchuk wherein we share with our readers’ highlights of Gary’s content he’s produced each week. Every week, we will be posting our favorite bits from Gary’s articles, blog posts, podcasts and videos to share with you — our faithful readers. Without further ado, here is a bit of what Gary has been busy talking about and sharing this past week. In an article titled “Stop Trying to Figure Out If You’ve Made It” Gary talks about how common it is in the business world to hear people giving keynotes wherein they speak of “that one moment” when they knew they made it. Gary states that this is something he doesn’t like doing because he feels it’s unfair. Why does he think it’s unfair? Because it sets an expectation wherein people should know when this type of thing happen in their own lives. Gary says that when you spend time trying to figure out whether this is the particular moment when you’ve “made it” it will do little more than keep you from moving forward. In his piece “Karma Is Not Luck”, Gary says that everyone should stop confusing karma and luck. He states that by mixing the two up, luck is given far too much credit…. in fact, luck shouldn’t get any credit at all because it’s just luck. He says the definition of karma implies that some type of work is needed which is different than luck as luck just happens. Gary says he’s not the type of person who believes it’s 100% one or the other in life but rather someone who acknowledges that both exist. Compared to karma, luck is credited far more often in the working world which according to Gary, is a symptom of people not wanting to put the hard work in to succeed as luck doesn’t require any effort. Karma on the other hand takes work, real hustle and real drive. His answer to the question of how one can make themselves more about karma and less about luck is to do things for free with no expectations of what you might receive in return. In his video “Hiring Friends, Funerals & The Reality Distortion Field” Gary was asked via Twitter “What’s your thoughts on employing friends?”. He said this was a very good question to ask and went on to explain that he has employed friends at both the Wine Library and Vayner Media. Gary says he’s a huge fan of hiring friends and especially early on as it’s great for establishing culture and for having teammates in the trenches. However, he says that hiring friends is risky because if things don’t work out, the friendship could be jeopardized. But he does remind people that if a friendship is ruined due to a problem related to work, then the friendship probably wasn’t as strong as you thought it was. We really enjoyed the listicle “5 Easy Hacks for Platforms You Need to Know” in which Gary speaks about using a few of the other social platforms instead of the usual Twitter, Facebook and Instagram. We were particularly fond of Gary’s take on the new social network Ello aka “The Anti-Facebook” that promises never to sell user data and which is still in invite-only beta form. Gary stated that he’s on Ello himself. He does believe that Ello has some problems because when you raise venture capital money as Ello did ($435,000) it’s a bit of a problem because they’re going to have to build a business model. So the question becomes if they’re not going to sell user data, they’re going to have to charge users. He also pointed out that he thinks people don’t care that social media networks are selling their data. He went on to say he believes people actually want to see ads on social media. His final comments about Ello include that he currently doesn’t see it as becoming the next Facebook but that it’s just too early to make a final call.